I just mailed my HD box back to the cable company and canceled my service, while still being able to view TV shows and movies at a tiny fraction of the cost. My personal board of directors (my family) is happy about the new income windfall due to the yearly savings. 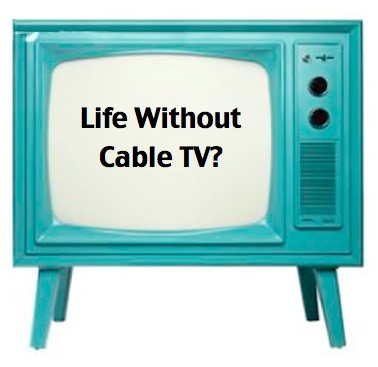 Unless cable TV providers upgrade their business model, they may disappear with black and white television. 4 years back I bought a Sony Play Station 3 (PS3) to entertain my grand children when they visit. I never once played a video game on my PS3 or had any personal use for it. This may be due to overdosing on playing video games, when my brother and I ran a business distributing the original floor model video games in the 1980s. We had them in pizza parlors, Coney Island and other locations. My job was business development and fixing the video games. So I played a lot of free games after each repair. Rewind to 3 weeks ago. Out of sheer curiosity I decided to see what would happen, if I connected my PS3 between my Sony Bravia HDTV and the Internet. After a 45 minute software upgrade to the PS3 operating system, I experienced an epiphany. Without spending a dime I watched The History Channel, National Geographic, Mad Men, In Plain Sight and Burn Notice. These are the same shows I used to watch through my cable TV provider. To help my Chief financial Officer (my wife) transition easier into this crazy idea of terminating the cable company, I purchased a $25 "TV like" remote control programmed to work specifically with the PS3. She was not about to use the PS3 game control joy sticks to watch TV. Voila, she is now a happy camper being able to watch American Pickers, Pawn Stars, Drop Dead Diva and other shows she likes. I now get caught on the news by going to ChannelChooser.com, using the PS3 web browser. Oh, did I mention being able to get on Facebook, Twitter and LinkedIn is easy on the eyes when being viewed on a 48" HDTV, from my reclining chair. Total monthly cost (starting next month): 8$ per month for Netflix. Estimate just under $10 with the taxes. I'm not suggesting you drop $200 to 300 down to buy a PS3. A $100 Roku box will work just as well or better. Cost includes a remote control. Reach out to me, if you need a little technical advice before firing your cable company.